That’s what I said when I tested out Stinkbug Naturals’ All Natural Deodorant (as documented in my “Ultimate Guide to Natural Deodorants,” which includes more than 30 natural deodorant reviews — whoa!). But that mini-review had a caveat: If the formulation were a bit stronger, it could be a real winner for my stinky self. Gliding the original formula onto my pits instantly killed stink, but it just didn’t last long for me. If you’re short on time, then the verdict is clear: Yes, Stinkbug Naturals Extra Strength Cream Deodorant works for extra-stinky girls like me. It’s a repurchase, and I especially like the Floral Lime scent. If you’ve got a minute, here’s my detailed review (because don’t we all love talking about our body odor and how we control it?!). As is custom for my natural deodorant reviews, I put Stinkbug Naturals Extra Strength Cream Deodorant through the Ashtanga yoga test. I would gently re-apply a smidge (like half a dime-size) to each pit before class, and the natural deodorant performed perfectly well with every downward-facing dog and vinyasa. To push the envelope a bit — since this is an “extra strength” natural deodorant — I even opted to skip the re-application process before class. This means roughly 9 hours from morning prep to end of the work day and then straight to a sweaty 90-minute class without extra protection. And guess what? No reapplication was necessary! It performed well, from 6-7:30 p.m., after going onto my pits at around 8 a.m.
How’s that for a natural deodorant that works under pressure? *It’s also notable that Stinkbug Naturals has been certified by the Non-GMO Project! To be honest, I was skeptical of how well Stinkbug Naturals Extra Strength Cream Deodorant would work for me. I’ve experienced some extremely painful and unsightly rashes in the past, so even my typically non-sensitive skin is susceptible when it comes to baking soda. Needless to say, I was pleasantly surprised! It’s quite an art to get the right balance of baking soda, butters, clays, oils, powders and other stink-killing ingredients together. But when the blend is right, it works so well and turns skeptics into believers! Compared to some of my other favorite natural deodorants that are shea butter-based (again, please refer to the ultimate guide), Stinkbug Naturals Extra Strength Cream Deodorant has a bit of a grittier texture. Though it’s a cream-style deodorant, you will notice that as you massage it into your underarms, you can kind of feel little texturized bits before they completely disentigrate. I don’t have an issue with this at all, but if it comes down to texture for you, this may be a deciding factor, as this isn’t a whipped deodorant, nor is it super smooth and creamy. It’s somewhere in-between, but the major selling point for me is that the floral lime scent is absolutely amazing. I’ve never thought much about combining two of my favorite things — flowers (especially ylang ylang!) and sour citrus (I looooove lime, especially with tequila), but wow is it a fantastic, refreshing scent for your pits. Happy pits, happy pits! Stinkbug, can you make your extra strength versions available in regular applicators? Or, can you bring more fantastic scents to the cream versions? You are on to something good here! What are your favorite natural deodorant scents? Have you tried Stinkbug Naturals? 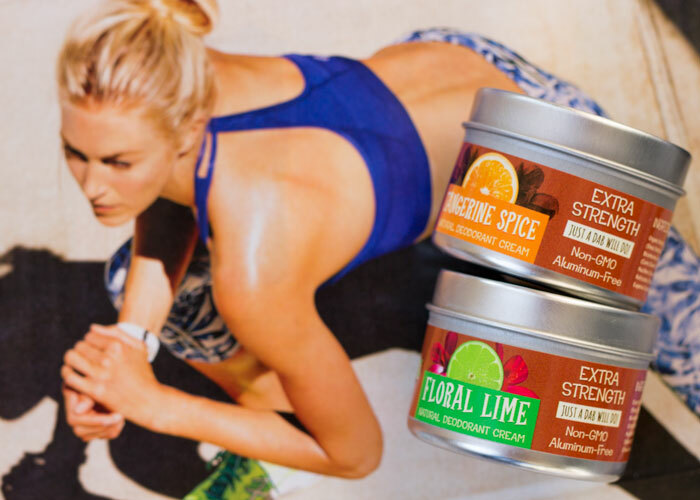 What’s the biggest hurdle in your quest for natural deodorants? Tell me in the comments section!